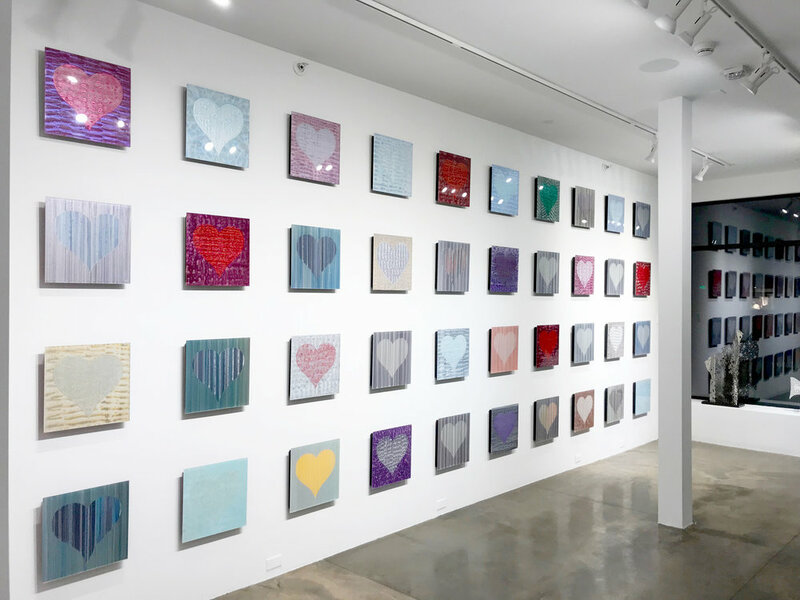 Don't miss Chris Martin's Valentine-inspired event Hearts For Hounds 2018, now in two cities: Aspen and Dallas. 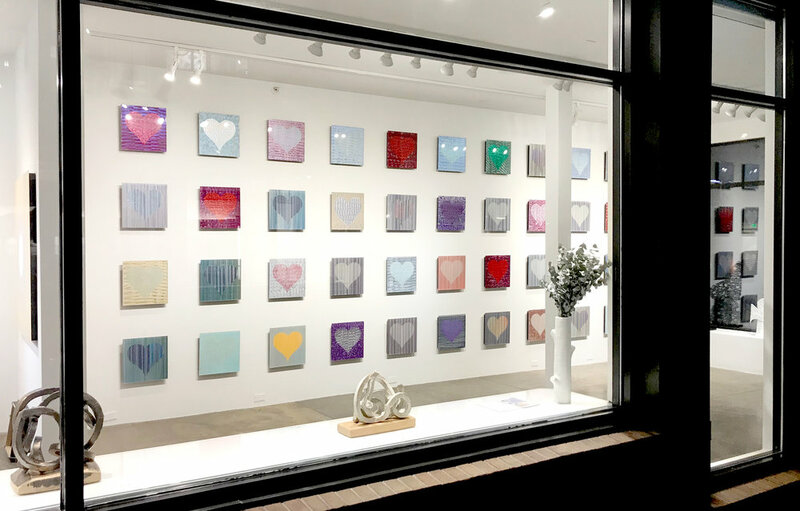 Visit with adorable, adoptable dogs, enjoy cocktails and hor d'oeuvres and view the 2018 original 16x16" Heart paintings. Limited edition 12x12” prints of hearts from previous years will be available online and at the Dallas event. Twenty percent of the evening’s proceeds will benefit the Friends of the Aspen Animal Shelter in Aspen, and the SPCA of Texas in Dallas. Choose the perfect Heart for a loved one while contributing to the well-being of deserving dogs and cats. Tito's: premier brand homemade vodka copper kettle distilled in Texas. Hotel Aspen / Molly Gibson: Aspen's premier accommodations where you and your pet's comfort is our first priority. MS Dallas: High quality pribting press in Dallas. Dougboster: Premier caterer in Dallas and Fort Worth. CultureMap: Daily source for lifestyle news in Dallas. SPCA of Texas: Leading animal welfare agency in North Texas with two shelters and three spay/neuter clinics located in Dallas and McKinney. Friends of the Aspen Animal Shelter promotes and provides for the welfare, care and health of animals. The Aspen Animal Shelter is a sanctuary for homeless dogs. The Aspen Boarding Kennel provides the best environment for the animals of Aspen and dogs or cats here on vacation. Endless Pawsibilities: the best pet caring and training business in Aspen. Aspen SoJourner: the definitive source of everything Aspen and the Roaring Fork Valley all issues are a must read. Jing Asian Fusion: Premier Asian Restaurant in Aspen.